My posting has dwindled over the last month or so, partly due to work-related reasons, but also due to an overdue commitment — finishing the captivating television series, Breaking Bad. For several months, I had avoided reading about the show, which was not always easy, given the plethora of opinions and reviews that followed its conclusion in September 2013. But now that I can enter into the cyberdebate, it’s hard not to throw out just a few thoughts on Breaking Bad, which was a series that I didn’t so much love to hate as hate to love. According to Thomas Aquinas, judgment, in its eminent sense, cannot be rendered while something is still developing. Likewise, I’ve been reluctant to reach any conclusions about Breaking Bad before learning of the fate of Walter White (Bryan Cranston), the cancer-stricken chemistry teacher, who decides to “break bad” in order to leave his family with a financial nest egg. Putting his knowledge of chemistry to an all too practical use, he becomes the notorious “Heisenberg,” expert methamphetamine cook and kingpin of an international drug empire. The show’s premise is, admittedly, a bit of a stretch, but creator Vince Gilligan and his cast pull it off with such narrative dexterity and moral gravity that it’s hard to resist. That’s why some commentators have proclaimed it the greatest television show of all time. But what, ultimately, is Breaking Bad about? With the end of Season Five, and with (spoiler alert!) 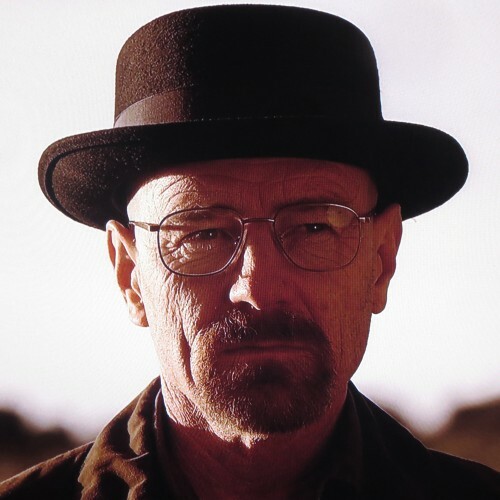 Walt’s death, I think it’s now clear that the show is best understood against the backdrop of two well-known philosophical motifs: (i) Nietzsche’s “Overman” [Übermensch] and/or (ii) Plato’s conception of sin as ignorance. Consequently, it is primarily a vehicle for non-Christian ideas, though, at the same time, it raises wide-ranging cultural and religious issues that demand a Christian response. Contrary to what is often heard, Nietzsche’s Übermensch is not meant to be an evil figure, who murders, rapes, and pillages at will. On the contrary, as Nietzsche understands him, the Übermensch exemplifies a kind of aristocratic nobility: no longer shackled by Judeo-Christian morality — which Nietzsche thought life-denying — he creates his own values, beyond the old binaries of “good and evil,” “right and wrong.” The Übermensch, then, will show mercy on whom he shows mercy and vengeance on whom he shows vengeance. He does not fear God, for Gott ist tot. Rather, he himself is a kind of god, albeit one of this world. Thus he will die, but his life will be so rich that he would not hesitate to repeat it. He lives as he wants to live. Another avenue of interpretation is provided by Plato. In dialogues such as Protagoras and Meno, Plato (via Socrates) argues that human beings do not sin because they want to sin. Rather, they always already desire the good but fail to attain it out of ignorance. This line of reasoning can be applied to Walt. The things that he wants are good — to provide for his family, to use his considerable knowledge of chemistry, even just to be alive. But he cannot see how to achieve these things without resorting to wrongdoing. On this reading, he is closer to a pitiable figure, as the lives of most human beings are, in a certain sense, pitiable. One can imagine Plato watching Breaking Bad (despite his reservations about drama!) and saying: if Walt had been a philosopher in addition to being a chemist, he might have perceived good from evil, true from false, eternal from temporal. Of course, the latter perspective overlaps with that of Christianity in a number of ways. One only need to think of Jesus’ famous statement from the cross: “Father, forgive them. For they know not what they do” (Luke 23:34). On the other hand, in a tradition popularized largely by St. Augustine, Christian thinkers have tended to view moral failings against the backdrop of “original sin” — the idea, broadly speaking, that the human race as such is liable to sin and death, given the rebellion of Adam and Eve in Eden (Genesis 3).